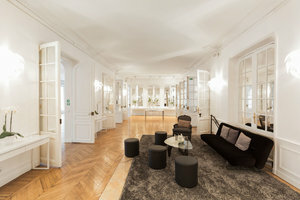 This grand Haussmanian apartment in the exclusive Étoile quartier is the epitome of Parisian elegance, and a tremendous location for Fashion Showrooms, Product Launches, Private Sales and High-End Events. 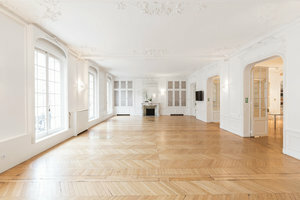 This incomparable venue is comprised of eight separate but adjoining rooms with Dutch wooden floors, white walls, beautiful original crown moldings, and generous natural light. A long windowed corridor overlooks a lovely courtyard, and pretty archways lend magic as one traverses through the various rooms. 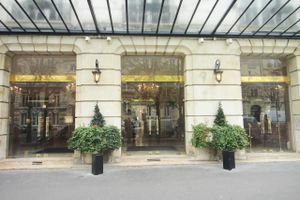 This wonderfully adaptable space is charged with refinement of Parisian heritage. 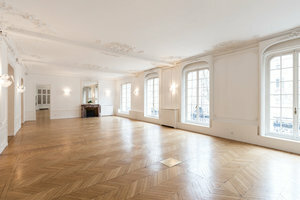 This amazing space is located in the heart of the reputable and sought after Étoile district, a historical area with a quintessentially Parisian charm.